The ongoing siege by Syrian Kurdish militia, supported by airstrikes of the US-led coalition, on terrorist stronghold Raqqa has been marred by at least 300 civilian fatalities and the displacement of some 160,000 people, a UN commission says. The Syrian Democratic Forces (SDF), a group of militias dominated by ethnic Kurds, launched their offensive on Raqqa last week amid weapons and military hardware supplies from the US. 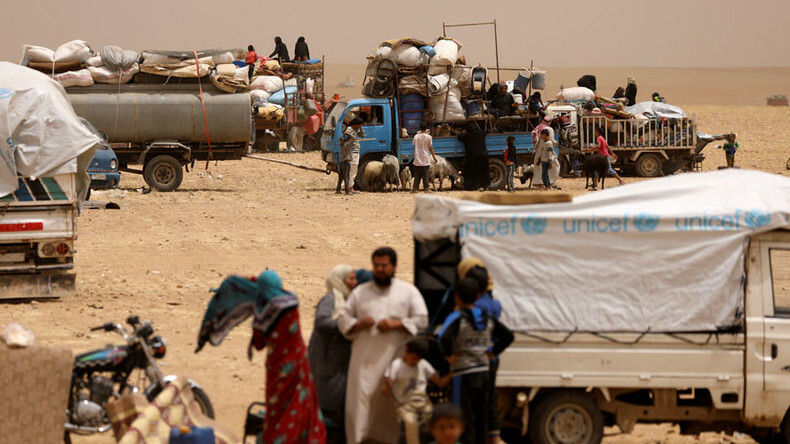 The effort is taking a serious toll on civilian residents of the city controlled by Islamic State (IS, formerly ISIS/ISIL), chairman of the UN Commission of Inquiry into the Syrian conflict said on Wednesday. The chairman did not give an estimate for civilian casualties in the city, but Karen Koning AbuZayd, one of the panels’ commissioners, said it has documented about 300 civilian deaths from the airstrikes supporting the Raqqa offensive. “We have documented the deaths caused by the coalition airstrikes only and we have about 300 deaths, 200 in one place, in al-Mansoura, one village,” she said. The US troops deployed in Syria are supporting the SDF offensive providing artillery and air support on the battlefield as well as “advice and training” for the militias. The Pentagon calls the deployment, which is done with no UN Security Council mandate or invitation from the Syrian government, a limited-scale operation. The Americans have attacked pro-government troops in Syria on several occasions over the past few weeks, claiming it was necessary to protect its SDF allies. In his speech, Pinheiro also criticized Damascus for negotiating a series of evacuations of opposition fighters and their families from various areas around Syria, including the December evacuation from Aleppo. He said in some cases the residents had no choice but to leave and that their relocation may amount to a war crime. The evacuation from Aleppo came after years of fighting for control of the city as it was split between pro-government forces and parts held by rebel. The fighting resulted in numerous deaths among residents. The evacuation was negotiated by Russia, Iran and Turkey and came as an alternative to continued street-to-street battles for Aleppo. The US-led coalition is showing “extraordinary hypocrisy” by not abiding by the so-called “red line” it sets for other countries, Vanessa Beeley, a journalist and editor at 21stCenturyWire.com who has visited Syria on many occasions during the conflict, told RT. 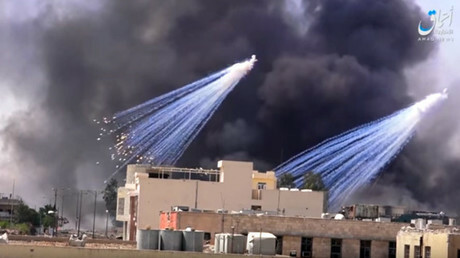 “After a five-year-long media, NATO-allied, NGO campaign to try and demonize the Syrian government and its allies, trying to liberate east Aleppo from terrorists… here [in Raqqa], as we saw in Mosul, we have the US-led coalition basically carpet-bombing entire areas – bombing in a country that they don’t have any UN mandate to be doing so,” she said.